The Gram Spectrum was one of the new products that Tesoro was showing off at its Computex 2016 showroom. 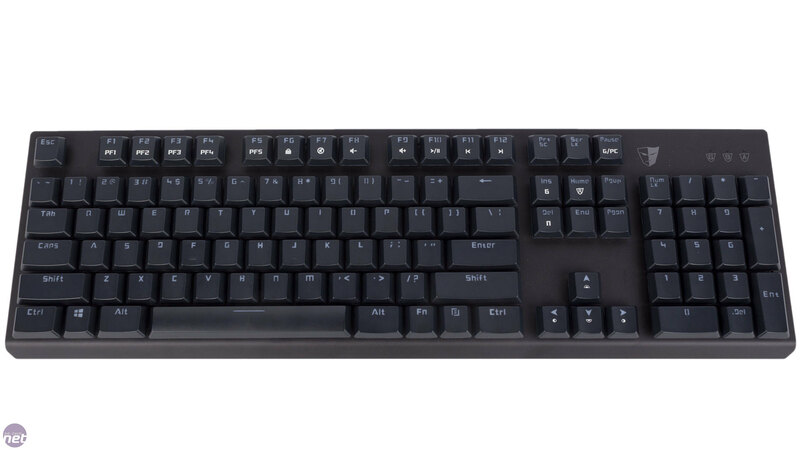 It's a low-profile, mechanical RGB keyboard with new, Tesoro-designed switches designed to offer a faster actuation point. First impressions are good – the aesthetics of the Gram Spectrum are more refined and grown up than the last Tesoro keyboard we saw. The unibody metal faceplate and raised keycaps design is nothing new, but it's still welcome, and the stripped back, minimalist look is understated, elegant and clean – it's also available in white, if you wish. It's not all just for show either, as although it's relatively thin the Gram Spectrum is surprisingly strong. 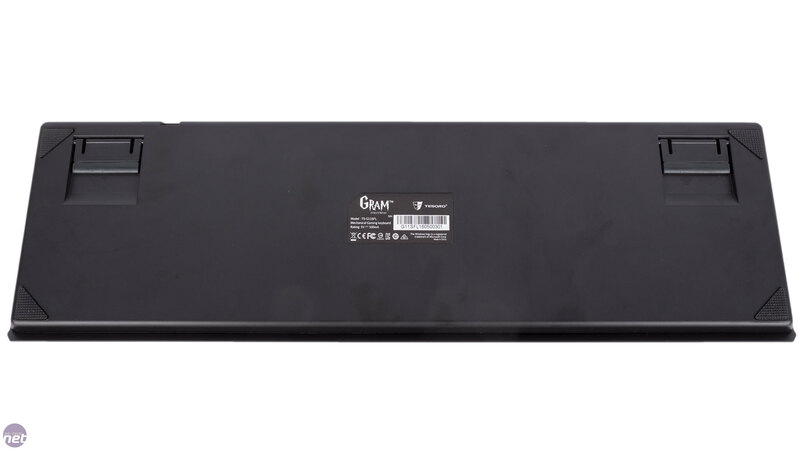 The iron top cover is good at resisting fingerprints as well, and the unit demonstrates awesome grip even on very smooth surfaces, although with the rear legs extended this lessens a little. Another plus for build quality is the detachable and braided 1.8m USB cable, which plugs in via mini-USB near the top-right corner – there's no built-in cable management channels or anything, so hopefully this position suits you and your desk. 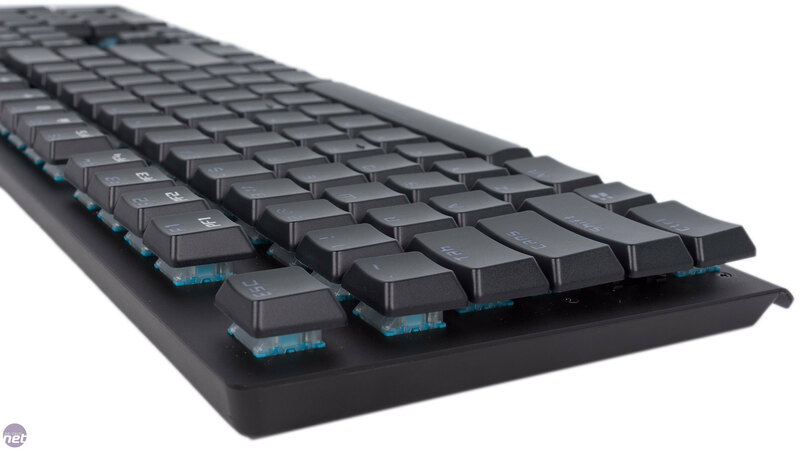 Compared to the only other low-profile mechanical keyboard we've seen, the SteelSeries Apex M800, the Gram Spectrum is definitely leading the way in quality of construction. Other than the cable, there is nothing else bundled in the box so you won't have a wrist-rest. 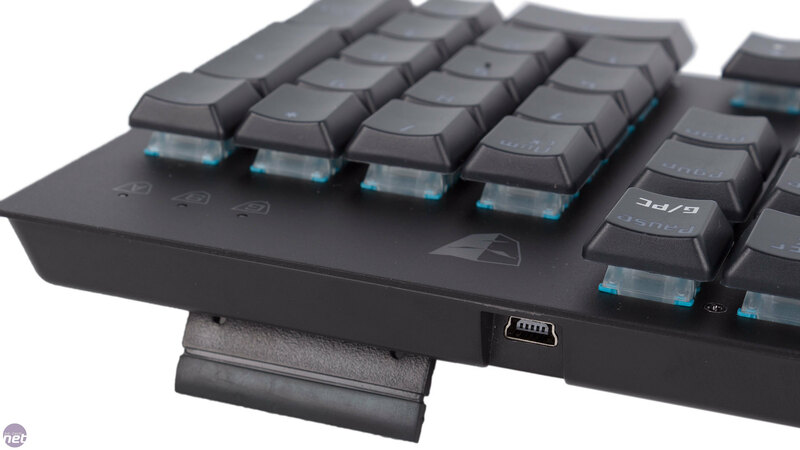 What this does mean, however, is that the Gram Spectrum is really rather portable for a full-size mechanical keyboard, especially with its detachable cable. It weighs just over 1kg and the chassis is trimmed close to the keycap edges. The low-profile keycaps are double layered and sit on top of Tesoro's Agile mechanical switches, which we've looked at in greater detail over the page. We have to say, we're not especially keen on the choice of font, but this is a matter of personal taste and it's understandable that Tesoro wants its keyboards to have a bit of identity in so crowded a market. In terms of specs, the Gram Spectrum sports a 1,000Hz polling rate as well as a 32-bit ARM Cortex CPU and 512KB of onboard memory. These components are used to program and store a number of settings – all keys are fully customisable in function and RGB lighting. 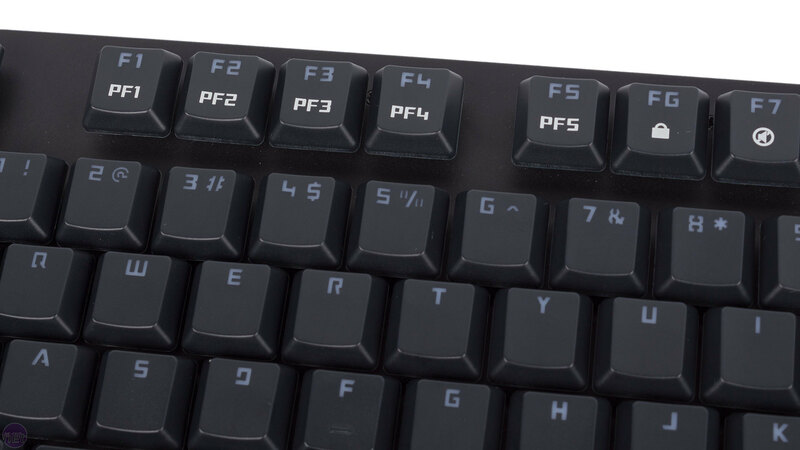 Secondary functions made available by the FN key include on-the-fly profile switching between the five gaming profiles. 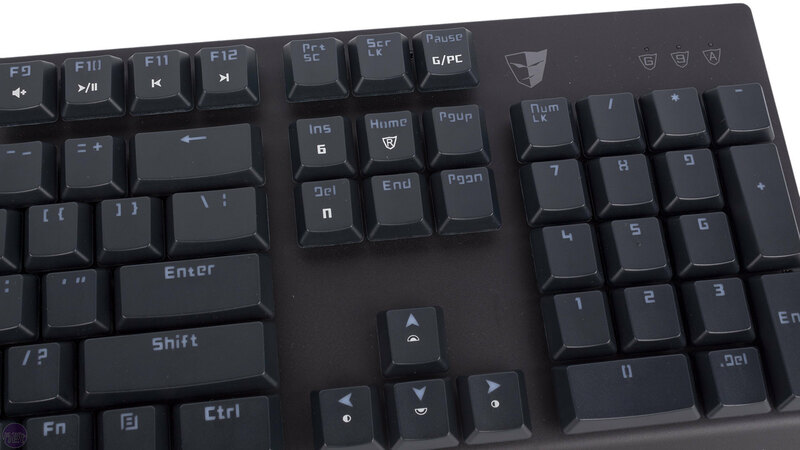 In any profile, you can switch between gaming and PC modes with a dedicated button too, with the former locking the Windows key. You can even lock all keys at once with F6, while F7-F12 control media and volume. 6-key rollover and n-key rollover are available to swap between, and on-the-fly macro recording is also supported. 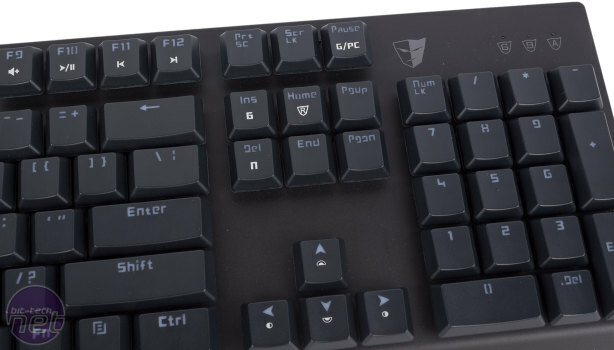 Lastly, the four arrow keys can be utilised to control the backlighting through its four brightness levels and eight patterns – static, reactive, wave, firework (keys around the actuated key light up in an alternating pattern of two colours), radiation (a ripple outwards along the row of the key pressed), breathing, spectrum wave and a user-defined pattern. We found the quality of the lighting to be good, with a decent white level and an even glow through the symbols.